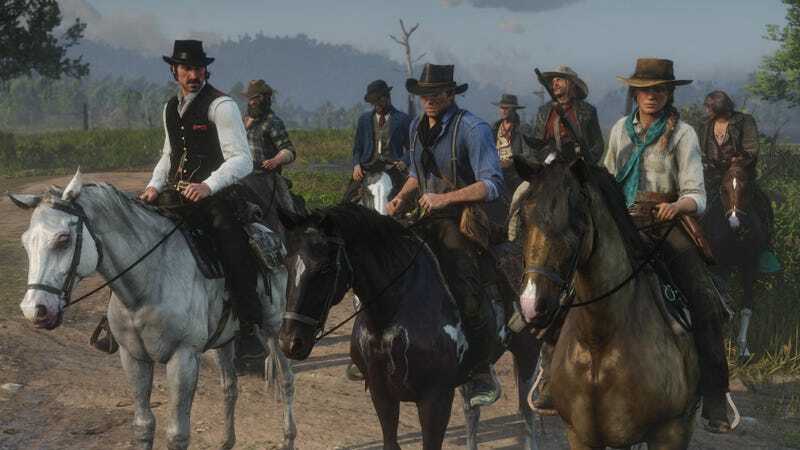 The weekend is for starting Red Dead Redemption 2 because you fell asleep before it launched last night, because you are an old man. I never played the first Red Dead because I didn’t own a console, but I always wanted to. I read about the game a whole lot—highfalutin academic papers weren’t quite the same as getting to play it, but they came close. I’m excited to now own a console and get to play the new one, or at least until riding a horse around a vast landscape just makes me miss The Witcher 3.